el could hear the giant groan from upstairs as he slammed Clay's door behind him. "Shake a leg, Daniel. Your boy Andre is waking up!" The short, dark Xibalban native gave Mel a withering glance and began walking. "We'll shake a leg, Mel, but not because of that big lummox," said Daniel. "The powwow in the Coliseum is going to start without us. Clay'll have me made into an armoire if I don't get you there." The neighborhood where Clay lived was an urban nightmare of industrial-looking buildings and reject modern art in the middle of the street. Its sky was dark, but everything was lit in red by light that had no visible source. As Mel and Daniel hustled around a corner beneath a leaning warehouse, they were suddenly enveloped in blinding light. This section of the Ordeal had a normal sky at least, though maybe normal for Africa in summer. It was a raging, deep blue  though for all the light, Mel could make out no sun. They continued their frenetic walking pace, and Mel barely had time to notice that the cracked asphalt of the previous block had turned into a light-orange paving stone sprinkled with sand. This neighborhood was full of stuccoed houses in an Arabic style. The road they walked was on the edge of a huge, tented marketplace. Through gaps in the canvas Mel could see a vast assortment of people in marketplace mode  people, aliens and more doing business. 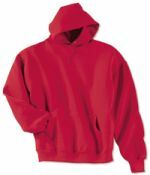 He hesitated for a moment, but Daniel pulled on the sleeve of his red sweatshirt. "We shouldn't stop here," Daniel cautioned. "Time is funny in this place; we might never leave." Mel nodded, and they continued up the road. The road seemed to go on into infinity. With all the buildings, tents and spires of what he guessed were mosques, the horizon was indistinct. After a few seconds, though, their track was obscured by an enormous structure, which Mel guessed was the Coliseum. It hadn't been there a moment before. "Come on, come on," Daniel said in a strained voice. They hurried closer, and proximity to the Coliseum again changed their surroundings. The desert city had gone. Standing beneath the huge, round building, Mel felt rain speckle him. The sky was cloudy, and murky, ancient forest was all around. The Coliseum's environs were scattered with people. In an alcove were three Xibalbans playing what looked to be craps. Daniel flipped them a terse wave and they returned it without stopping their game. Mel followed Daniel around the curve of the Coliseum, passing more knots of people who seemed to prefer the moist night outside the structure. They were now facing a grand entrance, an ornate arch that would have looked at home in a gladiator movie. Only one person was present, an old man with bald head and long beard. He was oriental, and his bright yellow robe made Mel think he was a monk. Daniel greeted the man, who slouched against a stone pillar covered in bas-relief. "Master, has the meeting started?" His tone held a respect that Mel had not yet heard from the crusty little wooden demon. The Master grinned randomly and replied in an ageless voice: "Yep. Clay's going to have you for kindling." Daniel nodded grimly. With one hand the Master patted Daniel on the head like a child, and with his other gave Mel a friendly punch on the arm that hurt like hell. "Get goin'. See ya. Hurry it up." Mel and Daniel hurried through the arch, where they could already hear the sound of shouting. "Daniel, who was that guy?" "The Master. That's all. Most people seem to think he's the head Custodian, you know, who runs the place. Personally, I think he's God." With that cryptic remark still hanging in the air, they entered the Coliseum. It was just like the Roman Coliseum back on Earth. The seats were full of the types of people Daniel had mentioned: Xibalbans, people in black who were probably assassins, well-dressed Chinese who were undoubtedly members of the tongs, as well as all variety of aliens. No dogmen yet, though. Down in the center of the structure was a platform on the floor. About 20 people sat in chairs before a long table, and one of them was talking into the microphone before him. Daniel handed Mel some opera glasses from a pouch at his belt. Mel put them to his eyes. "... can't produce this Candidate who will win this war for us, then you need to be quiet." The speaker was in a soft black robe with matching skullcap. He was pale and had light blond hair: Eriksen. Having never heard him speak before, Mel couldn't tell if his voice was higher from the proxy kick he must have felt earlier. "I have here," Eriksen continued, holding up a thighbone, "a relic of an Earth legend. I can revive him to fight for us without him having to pass any sort of Candidacy. We Custodians must liberate the Ordeal from the DCB, and soon. The laboratories of the DCB are manifesting more and more Frank Burleys every day." He paused for dramatic effect. "Something must be done!" Eriksen hurled the bone onto the open floor of the Coliseum, when someone interrupted him. It was Clay. "Eriksen, you know that the important part of the Ordeal is the means, not the end. The transformation of Candidate to Messiah is absolutely necessary. My Candidate is the closest we have." Daniel began pushing Mel down the aisle stairs towards the floor. "Come on, come on." Eriksen seemed unimpressed by Clay's speech, and instead began to chant. The thighbone on the floor seemed to swirl with mist, turning into a miniature vortex that at last faded to reveal a human figure. Mel put the glasses to his eyes again, and when he saw who it was, had to stop. The man wore white trousers tucked into black boots, and a blue waistcoat trimmed with gold. He also had long white hair pulled back in a ponytail, and an enormous hooknose. The eyes weren't human, though. They were a solid silver, and the whole figure seemed to shimmer as if with heat haze. Then he spoke. "I was promised armies to lead," said the hollow voice, booming like some awful kettledrum beat before a battle. Daniel was pushing again, and Mel could not even stop when a hoarse Spanish greeting arose from the seats to the right. He could only wave briefly to Ramon, Diego and the rest of the dogmen who barked and yelled at the sight of Mel. At last he was on the floor, just a few paces away from the ghost of George freaking Washington. As Mel approached the platform, he had never been more nervous in his life. "Here I am, Clay. Messiah Candidate Mucho Grande." The Coliseum became immediately quiet. Eriksen looked on in disbelief, his otherworldly guest forgotten for a moment. He sat with a glare at Mel as Clay stood. "Here is the one I spoke of," Clay said. "The Ordeal can begin at once if he is ready ... and our battle can soon be over." The cheering was deafening, and when everyone sat down again, Eriksen and Washington were gone. When quiet resumed, Clay continued. "There is much planning to do. Let me outline ..."
There was more, but Mel had lost interest. He put the opera glasses to his eyes again, because he saw others leaving the Coliseum. Clay had been right about this place when Mel had first met him. It was the mystery of all mysteries, and the damnedest thing was, Mel didn't have time to solve it right now.